New in New jacket. Lang: -English, Pages 434. It is the reprint edition of the original edition which was published long back (1839). The book is printed in black on high quality paper with Matt Laminated colored dust cover. We found this book important for the readers who want to know more about our old treasure so we brought it back to the shelves. We tried to manage the best possible copy but in some cases, there may be some pages which are blur or missing or with black spots. We expect that you will understand our compulsion in these books. Print on Demand. New in New jacket. Lang: -eng, Vol: -Volume 1, Pages 476. It is the reprint edition of the original edition which was published long back (1910). The book is printed in black on high quality paper with Matt Laminated colored dust cover. We found this book important for the readers who want to know more about our old treasure so we brought it back to the shelves. We tried to manage the best possible copy but in some cases, there may be some pages which are blur or missing or with black spots. We expect that you will understand our compulsion in these books. Print on Demand. New in New jacket. Lang: -English, Pages 506. It is the reprint edition of the original edition which was published long back (1836). The book is printed in black on high quality paper with Matt Laminated colored dust cover. We found this book important for the readers who want to know more about our old treasure so we brought it back to the shelves. We tried to manage the best possible copy but in some cases, there may be some pages which are blur or missing or with black spots. We expect that you will understand our compulsion in these books. Print on Demand. New in New jacket. Lang: -English, Pages 550. It is the reprint edition of the original edition which was published long back (1912). The book is printed in black on high quality paper with Matt Laminated colored dust cover. We found this book important for the readers who want to know more about our old treasure so we brought it back to the shelves. We tried to manage the best possible copy but in some cases, there may be some pages which are blur or missing or with black spots. We expect that you will understand our compulsion in these books. Print on Demand. New in New jacket. Lang: -English, Pages 564. It is the reprint edition of the original edition which was published long back (1913). The book is printed in black on high quality paper with Matt Laminated colored dust cover. We found this book important for the readers who want to know more about our old treasure so we brought it back to the shelves. We tried to manage the best possible copy but in some cases, there may be some pages which are blur or missing or with black spots. We expect that you will understand our compulsion in these books. Print on Demand. New in New jacket. Lang: -English, Pages 576. It is the reprint edition of the original edition which was published long back (1909). The book is printed in black on high quality paper with Matt Laminated colored dust cover. We found this book important for the readers who want to know more about our old treasure so we brought it back to the shelves. We tried to manage the best possible copy but in some cases, there may be some pages which are blur or missing or with black spots. We expect that you will understand our compulsion in these books. Print on Demand. 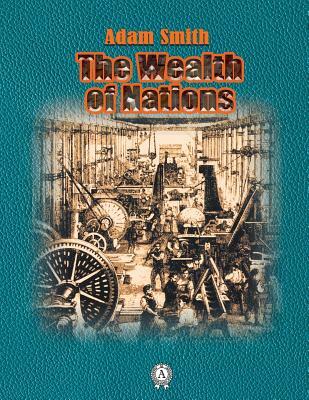 One of the books, that must be in every library of an economic proffesional. Really worth the price, very valuable. This book was in good condition. and an excellent reference book. It should be required reading by the members of Congress.